Persistent rotatory knee laxity is increasingly recognized as a common finding after anterior cruciate ligament (ACL) reconstruction. While the reasons behind rotator knee laxity are multifactorial, the impact of the anterolateral knee structures is significant. As such, substantial focus has been directed toward better understanding these structures, including their anatomy, biomechanics, in vivo function, injury patterns, and the ideal procedures with which to address any rotatory knee laxity that results from damage to these structures. 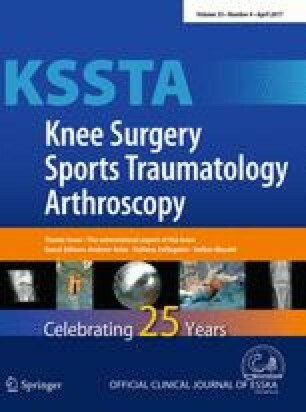 However, the complexity of lateral knee anatomy, varying dissection techniques, differing specimen preparation methods, inconsistent sectioning techniques in biomechanical studies, and confusing terminology have led to discrepancies in published studies on the topic. Furthermore, anatomical and functional descriptions have varied widely. As such, we have assembled a panel of expert surgeons and scientists to discuss the roles of the anterolateral structures in rotatory knee laxity, the healing potential of these structures, the most appropriate procedures to address rotatory knee laxity, and the indications for these procedures. In this round table discussion, KSSTA Editor-in-Chief Professor Jón Karlsson poses a variety of relevant and timely questions, and experts from around the world provide answers based on their personal experiences, scientific study, and interpretations of the literature. In the original publication of this article, one of the co-authors' name has been published incorrectly; this error has now been corrected. An erratum to this article is available at http://dx.doi.org/10.1007/s00167-017-4540-8. No external source of funding was used.